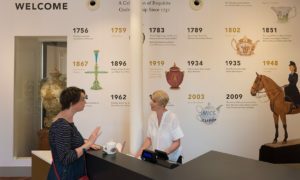 The Museum of Royal Worcester is closed until May 2018 for a very exciting Heritage Lottery funded refurbishment. To accompany this refurbishment work, the Museum’s award-winning Learning Outreach and Volunteer Officer, Zoe Harris, has developed a lively and engaging programme of workshops tailored to the National Curriculum. 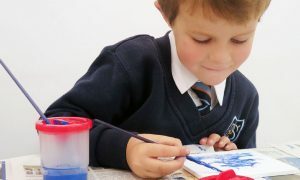 The workshops, which use real Museum objects, and draw from the Museum’s wealth of factory archive material, can be delivered in school while the Museum is temporarily closed. School children will explore life at the factory in the Victorian era, try their hand at ware-carrying and moulding, design and make a plate for Queen Victoria and explore the porcelain manufacturing process. Through a choice of innovative workshops, they can also explore the history of tea-drinking and trade while developing their map reading and mathematical skills, and the influence of Chinese art and culture on British tastes. 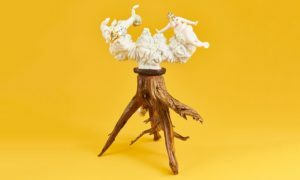 The resources that have been created for the workshops are exceptional, and include bespoke floor maps and jigsaws inspired by the Museum’s archive, a Chinese-inspired shadow puppet theatre and an abundance of antique Royal Worcester porcelain that can be handled. There are also pattern books with original watercolour designs, and real factory equipment. 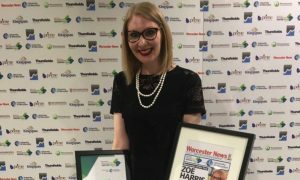 The workshops are delivered by Zoe Harris, who recently won Worcester News’ Worcestershire Education Awards Newcomer of the Year award. ‘I’m delighted that the workshops have been so well received’, said Zoe. ‘Teachers have described them as fantastic, engaging, and the best they have come across in 10 years of teaching. It’s great to be able to head into local schools to share the story of the world famous Royal Worcester Factory’. For more information, visit the Education page on our website.